Grizzly Bear’s new EP called Friend was released earlier this week thus giving me a reason to get all giddy and excited; yes! new songs by one of the best bands in the industry (then again, not really entirely new). The EP title, ‘Friend’ had me intrigued; it’s not everyday you hear a band name anything, say a song, or an album, or an EP even, with the word ‘Friend’. It’s such a common, typical word, yet so powerful and affecting at the same time. It’s rare to hear a song dedicated especially to a friend and even if there are, it usually sounds as if the tune was meant for someone more than a friend; I don’t want to be your friend/I just want to be your lover, even Radiohead truthfully admits so in their song, ‘House of Cards’. However, the EP was given such a name simply for that one very obvious reason; the EP features chock full of covers and reinterpretations of some of the band’s favorite songs, and also includes guests, otherwise known as ‘friends’ of the bands, such as CSS, Band of Horses, Bradford Cox of Deerhunter, Dirty Projectors, and Beirut's Zach Condon. Both CSS and Bradford Cox who also goes by his solo alias Atlas Sound, presented their rendition to one of Grizzly Bear’s finest track called ‘Knife’. 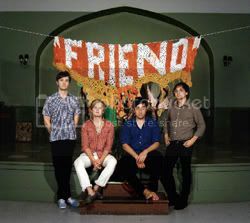 The Friend EP's only weakness, this three-song segment finds Grizzly Bear's camaraderie getting the better of them. Though the disc benefits commercially and promotionally from the band's decision to afford their peers an equal opportunity in reworking Yellow House material, it sells itself short as a worthy successor. Standing in stark contrast to Grizzly Bear's own reinventions, these curiosities only serve to disrupt Friend's otherwise seamless, cohesive flow. Wow, a review on a review, that’s a first. Yes, I do understand what the ‘seamless, cohesive flow’ refers to; songs that exude a dream-like, other-worldly and almost hypnotic quality that’s nothing short of beautiful and astoundingly remarkable melodies - what the band Grizzly Bear has always been perfectly good at. What they really mean to say is that 3 covers contained in the record seem so out of place that it makes the record sound inconsistent, odd even for some of them to be there. 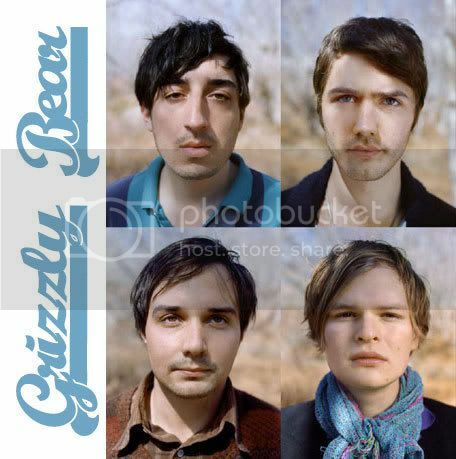 Isn’t it obvious; the combination of dance troupe CSS and Grizzly Bear may not be the best pair when associated together. Of course, it doesn’t sound right, but well, I was kind of expecting it anyway. As a matter of fact, CSS doing a cover for one of Grizzly Bear’s song was the last thing that I had on my mind, but it just goes to show, you don’t always have to stick to your own genre. CSS’ version of ‘Knife’ is entirely different, but refreshingly different and delightful, that makes me fond of it even more by each consequent listen. The intro highly brings to mind of Stereophonics’ ‘Dakota’ and Lovefoxx’s vocals resembles so much of Canadian born pop star, Avril Lavigne (righty-ho!). Here’s some of that ‘chock full’ of great music I’ve been mentioning, so downloads-away!